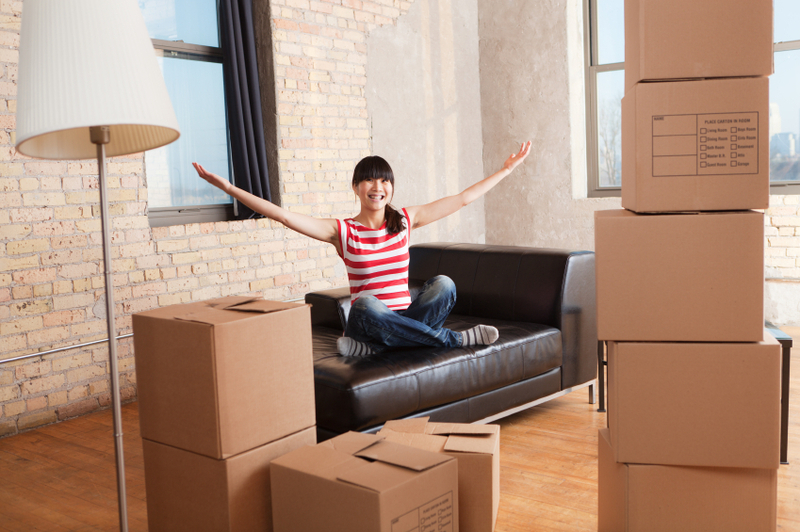 When you get your first apartment, you may be more concerned with moving in than what will happen when you move out. But when it comes to getting your security deposit back months or years later, you need to understand your rights and take the right steps starting on day one. More than a quarter of renters lose their security deposit at some point, according to a survey by Rent.com. To make sure you get your security deposit back, follow these nine tips. Before you sign your lease, research your landlord’s reputation for returning security deposits through review sites. Check out sites such as ratemylandlord.com, tenantlandlordratings.com, reviewmylandlord.com, rent.com, apartmentguide.com or apartmentratings.com. If you’re renting from a property management company, you might be able to find ratings on Zillow, the Better Business Bureau or Yelp as well. Your lease will include crucial information about security deposit policies. Deposit maximums, for instance, will vary from state to state. In California, the maximum security deposit is up to two months’ rent for unfurnished apartments and up to three months for a furnished apartment, while other states, such as Ohio or Washington, are not explicit about security deposit maximums at all. You may also have a separate deposit for a pet. If you don’t understand your lease, have an attorney take a look, suggests Pat McGeehan, CEO of Four Front Properties in Spring Lake, New Jersey. “A lot of times there are addendums on leases, and that’s where landlords put a lot of extra stuff,” he adds. Before you move in, inspect the apartment with your landlord or property manager. Look for anything damaged so both you and your landlord are aware of pre-existing issues. “Make sure you’re noticing any deficiencies or repairs or just damage that you don’t necessarily want fixed, but documented to make sure you won’t get changed for it when you move out,” says Stacy Brown, franchise operations manager at Real Property Management Business Solutions, LLC, a property management franchise headquartered in Utah. Take photos and video to show the state of the apartment upon move-in. Then send it to your building manager or landlord for their records. Examples of normal wear and tear include faded paint or a leaky faucet. Large holes in the walls, cigarette burns in the carpet or a broken mirror would be considered above and beyond normal wear and tear. As long as the property is “broom swept,” McGeehan adds, there’s no reason to pay for a cleaning service. Follow the rules while you’re renting and you won’t give your landlord any reason to withhold your deposit. That means if there’s a no-pet policy in your building, reconsider adopting Fluffy. If you’re not allowed to list your room on Airbnb while you’re away for a few weeks, then don’t. If you want to make any changes to the apartment — painting or hanging a new fixture — get written permission from the landlord first. And overall, treat the apartment as if you owned it, experts advise. “Don’t punch a hole in a wall. It’s hard not to have a party at your house, but treat it as if it’s your own property. You’re paying for it and at the end of the day, you’ll end up paying for damages,” says Todd Santoro, co-founder of RenterLove, a startup that helps tenants recover their security deposits. Your lease will spell out when to give your landlord notice that you will not be renewing a lease. Make sure your notice is in writing and keep copies of everything, Santoro suggests. You should also get permission in writing if you have to terminate your lease early or want to find a subletter. If you are not granted permission, then be wary about moving forward with plans to leave early. It’s a violation of the lease and you may have to forfeit your deposit, as well as pay additional rent. When you’re about to move out you have to clean up. Unless it’s specifically allowed by law in your state, your landlord usually cannot take cleaning fees out of a security deposit if you leave the place in good condition. Follow the campsite rule of leaving the place at least as clean as you found it. To determine what this means to a landlord, it’s best to lay out expectations before you get out the mop and bucket. If you decide to bring in your own cleaning crew, save the receipt to show your landlord. The benefit of a move-out walkthrough is that your landlord has to give you the opportunity to remedy something she thinks is damaged or unclean, says Noah Santoro, another co-founder of RenterLove. “If they say it’s dirty or there are marks on the wall then you can clean it and resolve it,” he adds. Remember to take photos and video of the condition of the apartment as well. Having both sets of documentation — from move-in and move-out — can act as proof if your landlord disagrees about damages. A landlord must return the security deposit along with a written itemized deduction list within a certain time period, generally 14 to 45 days, depending on the state. You won’t get your security deposit if you don’t let your landlord know your new address. Of renters who do not get their security deposit back, 36% are not given an explanation from their landlord, according to the Rent.com survey. In most states it’s illegal to withhold your security deposit without details of what charges were deducted. What landlords can deduct from your security deposit depends on what state you live in. Security deposits, in addition to paying for damage above normal wear and tear, might be used for breaches of a lease agreement; unpaid rent; or even cleaning fees in some states. There are instances when a landlord might try to keep a security deposit for illegal reasons — re-carpeting when there is no damage or replacing fixtures that are still in working order, for example. If you don’t get an itemized list of damages and receipts, or if your landlord claims you caused damage you know you didn’t, then you may be able to sue in small claims court. Brown suggests first reaching out to your local housing authority and legal aid. “They can help you understand whether or not you have a case for moving forward,” she says, adding that sometimes the landlord is right. If you want to go to court, file a claim that explains clearly what happened. Get to know your state Tenant-Landlord laws too. They’re usually written in favor of the tenant, says Todd Santoro. The process won’t be quick, but if you sue your landlord and win, you can often be awarded the amount of the deposit, additional money in damages and attorney’s fees, if any.